Despite weather conditions, two participated in tonight’s tournament. 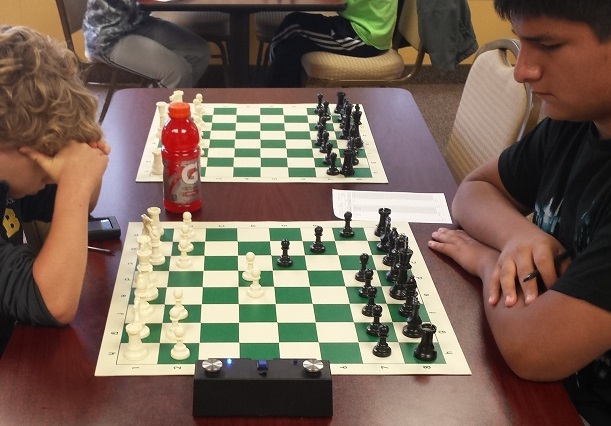 We hosted a three game match between Kyrian Friedenberg & Adriel Alvarado. Friedenberg won the first round. Second round resulted in a draw and the last round was won by Alvarado which tied them for first place both with a 1.5/3 score. Hope to see you all next week!